Are you a fan of pudding? I know it’s not usually a chart-topper for people when it comes to their favorite delicious desserts out there, but nonetheless, it’s pretty dang good! Especially when you’re trying to eat really well the majority of the time, after a couple solid weeks with no sweets, pudding could really hit the spot! Well, what if I told you you could have your cake and eat it too? Or rather, have your pudding and eat it too?? I have got to introduce you to the wonderful world of chia puddings, if you haven’t already been down this road yet. If you have, I’m going to list a few varieties, so I hope there will be a new fun flavor you haven’t tried yet. Chia is so amazing! Ch-ch-ch-chia! No, no, I’m not talking about those silly chia pets they used to sell when I was a kid. (Man, I always wanted one of those dumb chia pets but never got one!) Well, I guess I kind of am. The chia seeds we eat today actually are the same thing and those green, furry friends. The terra-cotta animals are spread with chia seeds that over time sprout and create a green, grass-like carpet of fur. We can eat these chia seeds today and get many nutritional benefits from them. You can find them in mostly all grocery stores now, most likely in the nutrition section of your local grocery store. Many people eat chia for its nutritional benefits. They’re packed with fiber, which means it keeps you fuller longer and provides more energy. Chia seeds also have a small percentage of protein, many essential vitamins and minerals, like potassium and calcium, and a very high amount of omega-3. The seeds actually do contain extracteable oil, a reason why the Aztecs called the seeds chian or oily. My favorite way to incorporate these little powerhouse seeds into my diet has been with chia pudding. I almost always have a little cup of it in my fridge to eat whenever I want. This has really helped me when I am craving something sweet. I can now just go to the fridge and grab a little bowl of delicious, creamy chia pudding and I can know that not only am I not feeding my body something junky like ice cream, I am actually feeding my body tons and nutrients and minerals and things that will help it and nourish it instead of harm it. Because of all the fiber in it, it is really filling too! Here is a fantastic easy base recipe (vanilla) and then I wanted to throw in a couple other varieties for fun as well. Basic chia pudding has 2 cups milk (you can use any kind. The most popular choice is unsweetened vanilla almond milk), 4 ½ tsp. 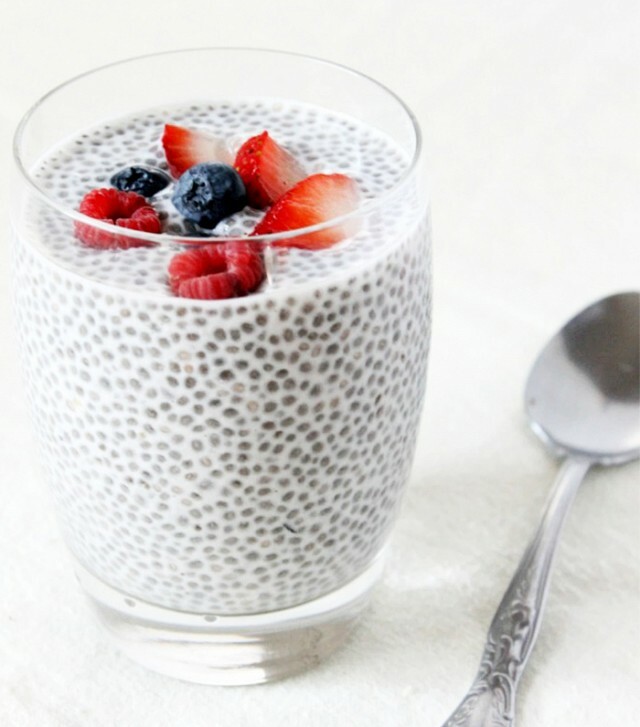 chia seeds, and ½ -1 tsp. vanilla. Combine in a bowl and stir together. Cover with a lid or plastic wrap and put in the fridge overnight (or for at least 4 hours). This is the recipe I make every night and it tastes very similar to me to vanilla tapioca pudding, but better! 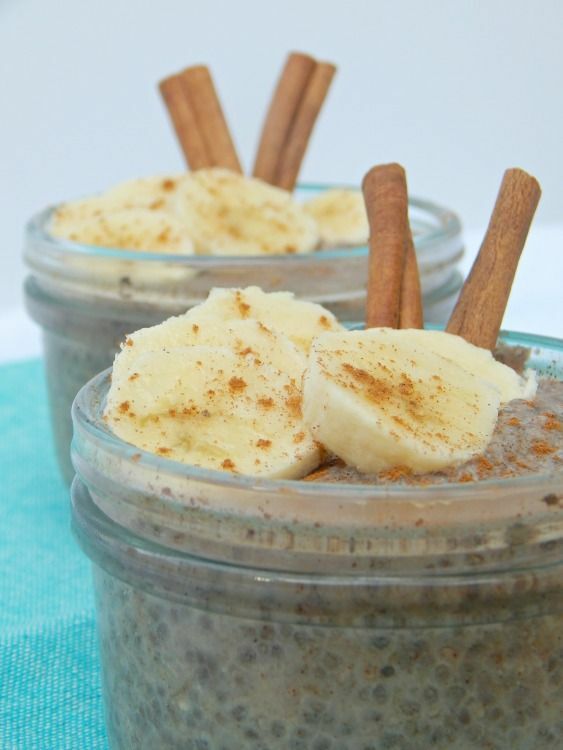 Here are two other absolutely fantastic other recipes for chia pudding: lemon raspberry and banana chia pudding. I think you will really love them! Combine all ingredients in a large, sealable container. Make sure all chia seeds are mixed in. Let sit overnight or for at least 8 hours. 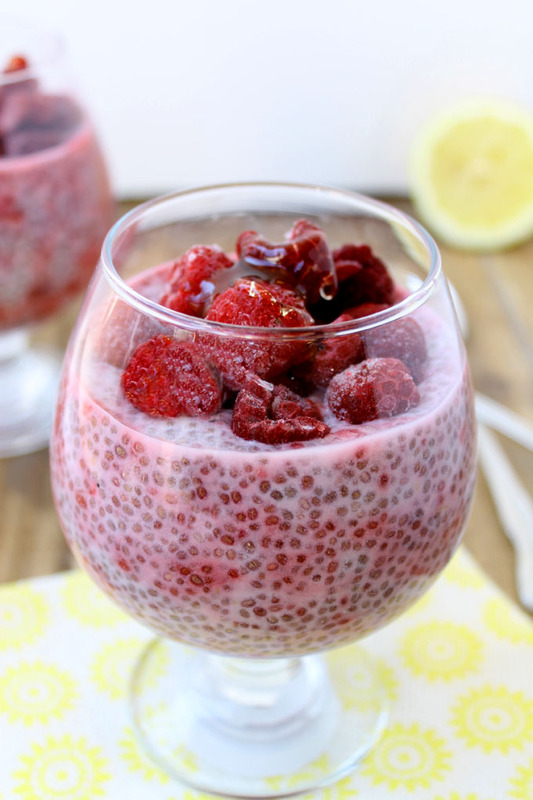 Have you had chia pudding before? What kind is your favorite?